Our Sienna started her show career in April 2013 at the age of 20 months. She attended nine shows and gained "certificate quality" every time. The highlight of the summer was when Sienna won her father Lucky twice during the same weekend by winning the breed. Sienna also won the best female title at the specialty show for Cirnecos (Club Show, 30 Cirnecos). At the age of 2 years and 3 days she gained her Champion title. Young Aatos was already successful at the dog shows last year when he was the the 2nd best male in Finland. During the year 2013 he has participated in eight shows and gained certificate quality seven times. 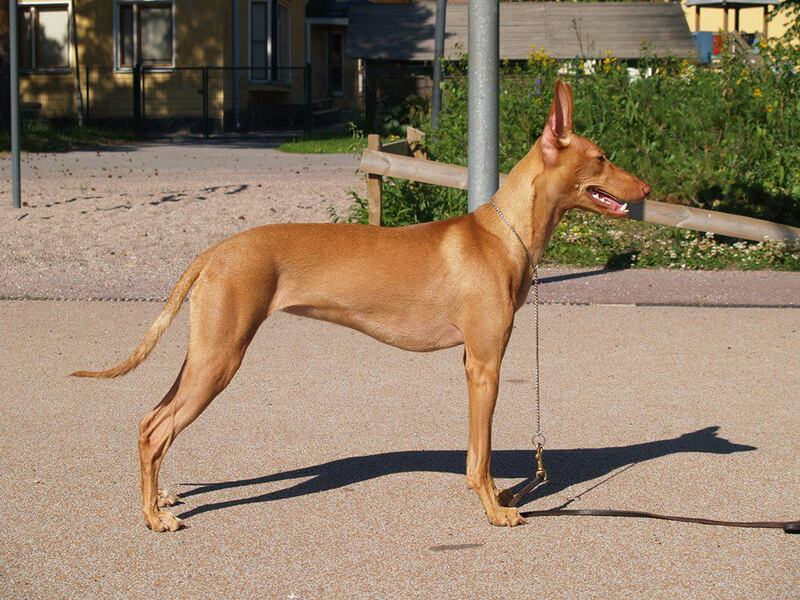 He has won 6 CACs and 4 CACIBs in Finland and Latvia in 2013. He gained the Champion title at the age of 2 years and 2 days. Indi, the litterbrother of Sienna & Aatos, has been shown only twice during 2013. Both times he gained certificate quality and the highlight of the year was when Indi was the runner up male (2n best male) in the Cirneco specialty 2013! Beautiful Vilna is our keeper from the latest Cirneco litter of ours. 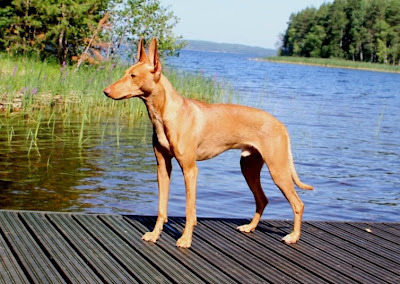 Vilna is only one year old and she has attended three dog shows. She has gained every time certificate quality that is not an easy thing for a junior here in Finland! Gorgeous Tito is Vilna's litter brother. He has been shown six times and he has gained excellent quality five times. The absolute highlight of his career is his Best of Breed win and Best in Junior-4 win out of 80(!!!) best of breed juniors at the age of 9 months. Tito was also the best Junior Male in the Cirneco Specialty. Beautiful Venti has also been shown in Helsinki area as junior. After seven shows he has gained six excellents, 3 CACs and 1 res-CAC. 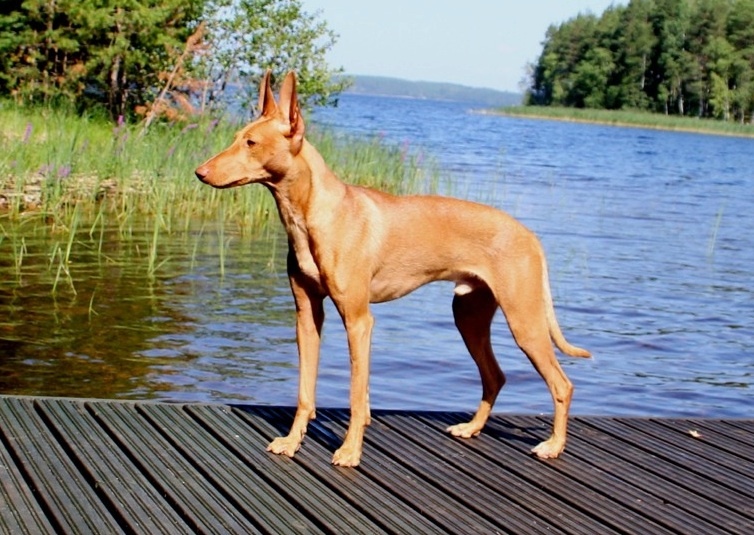 Venti was only 11 months old when he gained his first Best of Breed win and at the same time Group-4 placement! 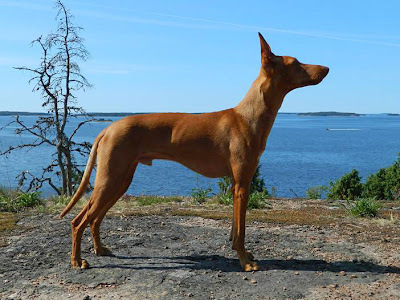 Group placements with the Cirnecos are quite rare here in Finland as FCI 5 group usually consists best of breed winners from 30-40 different breeds.